Thinking about moving to Orlando? Here are 4 of the top reasons why you should consider buying a home in Orlando in 2018. Snowbirds aren’t just escaping the cold when they come to Florida, the attractive cost of living also plays a large part in the decision to migrate south. Much like the weather, beautiful beaches and attractions, the tax climate is highly favorable. Florida doesn’t have a state income tax which means if you have a high income, you’ll save considerably in taxes by moving to Florida. There’s also the homestead exemption so if you’re planning to buy a home in Florida, you can claim the first $50,000 of value as a property-tax break if you designate the home as your primary residence. Where you buy matters though; if you purchase in an area with school-district taxes, the homestead exemption is limited to $25,000. In addition, property taxes fall below the national average, remaining around .97%. Sales tax in Florida is about 6.5%. Property taxes are calculated using a property-value assessment which won’t increase more than the annual change in the Consumer Price Index. Owning a home in Florida won’t burden you down with outrageous property tax increases, allowing you to build equity the longer you own it. Florida isn’t just a hot spot for retirement. The millennial masses are migrating to Orlando to start new careers in tech, tourism and other booming industries. Orlando has experienced a 7.2% three-year population growth and 4.4% annual job growth which isn’t surprising as the unemployment rate remains below the national average at 4.4 percent. Orlando recently earned the #3 spot on Realtor.com’s 2017 Top Cities for Millennials ranking, following only Salt Lake City and Miami. Downtown Orlando has remained a top area for millennials due to easy access to public transportation, shopping, and dining as well as a convenient proximity to employers. If you’re planning on becoming an Orlando homeowner, you’ll be happy to know that Orlando home values increased by $15,000 in 2017, a 7.7% increase. In fact, the City Beautiful increased more than the national average of $12,500 in value gained since last October. Orlando became one of the best cities in the country for investing in residential real estate in 2017, according to Forbes. The magazine named Orlando the third-best U.S. market in which to buy a home this year, crediting the city’s population and job growth as factors in the ranking. Orlando is the heart of tourism, so it’s no surprise that the list of things to do seems endless. Winter Park hosts an amazing farmer’s market every Saturday. More of a sports fan? Grab some friends along to cheer on the Orlando Magic at the Amway Center or the Orlando City Soccer Club at the Orlando City Stadium! 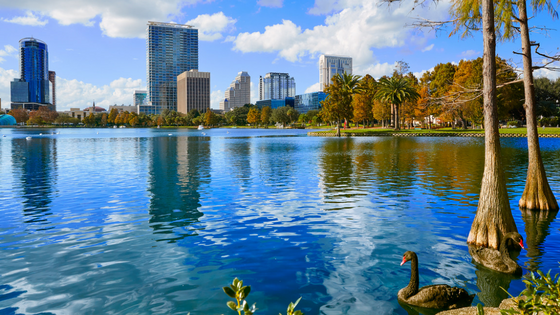 Check out Trip Advisor’s list of the top 10 things to do in Orlando. From theme parks to festivals to the nearby springs, there’s something for everyone in the family. We’re here to guide you through every step of the homebuying process. Give us a call at 407-925-8404 today and we will help you find the perfect home in Orlando and the surrounding areas!